In every way, a great company to work with. 2. They had a quote with options for me. They were clear about the entertainment of what they would and would not do (they’d build duct work, id need another contractor to box in duct work). This allowed me to plan as I was my own general contractor for my renovations). 3. They spoke to me in language I understood, neither too technical nor too simple. They answered all my questions as I had them. Everyone is so lovely to work with, the sales team and the contractors who are worked in my home. It was really a pleasure to work with you on your project to convert to natural gas forced air heating from electrical baseboard heating. Thank you so much for recommending us to other homeowners. Highest Regards "The Twintech Team! On one of the coldest days of winter our furnace stopped working. Our regular furnace company came and told us we had a CO2 leak and shut us off. Their quote for a new furnace was way too high and they couldn't even install it on the same day. TwinTech was recommended to us by a friend. We called and spoke to Dave who was very nice and knowledgeable. Grant showed up a short time later and a new furnace was installed the same day with no troubles at all. 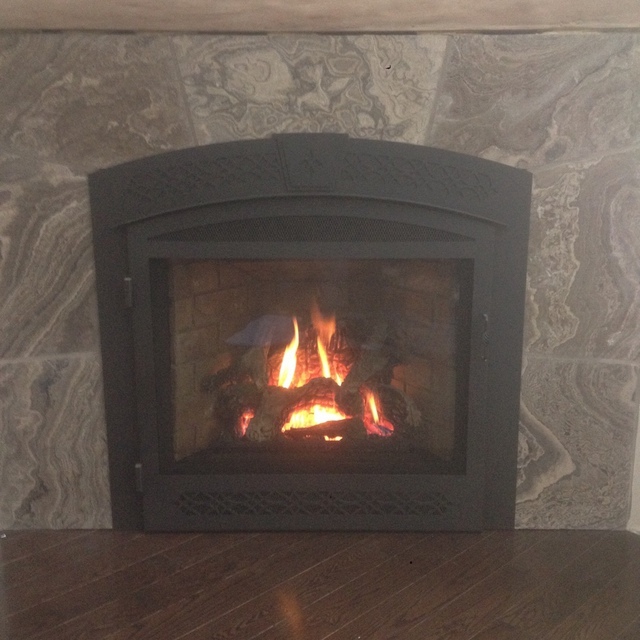 Best of all, we received a higher-end furnace than what was offered by our previous company and at a cheaper price. I would recommend Twintech with no hesitation at all. Thank you Anna for your review. We sell what we believe to be the most reliable furnaces brands available in the market today. Manufacturers like Amana, Armstrong and Goodman. 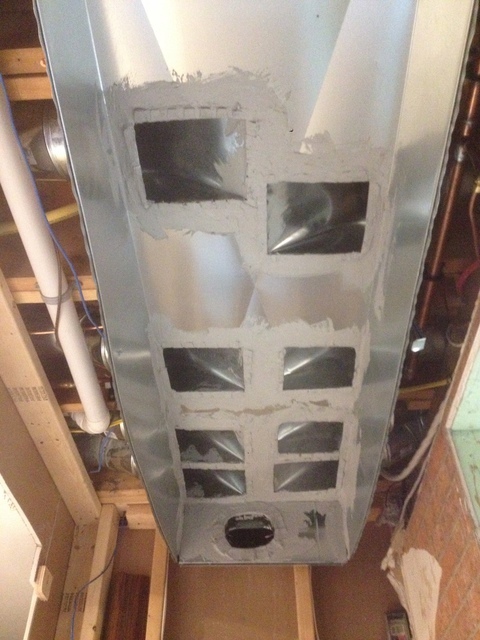 Then we install and set them up correctly according to the individual footprint of your home and duct system. Then we back it all with a 10 year warranty along with 24 hour service. So homeowner's know that when they choose TWINTECH Heating they're getting great products, great prices and excellent customer service. I installed a new furnace and Air conditioner with them. The installation is of high quality and according to standards. The guys are professional and reasonabley prices.. I highly recommend them. Thank you Hiba for choosing us. We really appreciated the opportunity to serve you and improve the comfort of your home! Highest Regards "The TWINTECH Team"
Great sales member named Dave came in told us some amazing items and how they would be priced installed an all. We couldn’t believe it! The next day the ac was installed, that day one employee named Greg told us that our furnace was working way to hard and was causing us to use wat to much gas. So two days later they came in an installed a new furnace! Thank you Geoff it was a real pleasure dealing with you and your family. You are amazing customers! Please enjoy your new Amana furnace and AC. Highest regards " The TWINTECH Team"
Thank you for your short and sweet review about your positive experience with our company. Fantastic team. Completed the job as per the specifications and in under 3 hours. Thank you for your fantastic review. We really appreciate you recommending our company. Buy and install new furnace. They removed and discarded old furnace. Installed new furnace. Installed air intake pipe, that had never been installed by builder, no charge. Replaced loose hose on floor with hard pipe and rerouted it to drain, no charge. Almost 33% cheaper then quote from Enercare, which was the company we dealt with and had insurance with for 8 years. No yearly fee for cleaning/insurance, saves 300 a year. Courteous, professional, fast, and friendly. My wife and I have been recommending them to everyone we know and meet, and will continue to do so. Thanks for everything, Twintech!!! Thank you Richard for such a glowing review. We really appreciate your decision to go with a small family ran business like Twintech Heating & Cooling. This company was great to deal with. Our furnace went down and they installed a new furnace the next day with a lot of professionalism! We appreciate you choosing our company and that you had a very positive experience. Please do recommend us to family and friends. 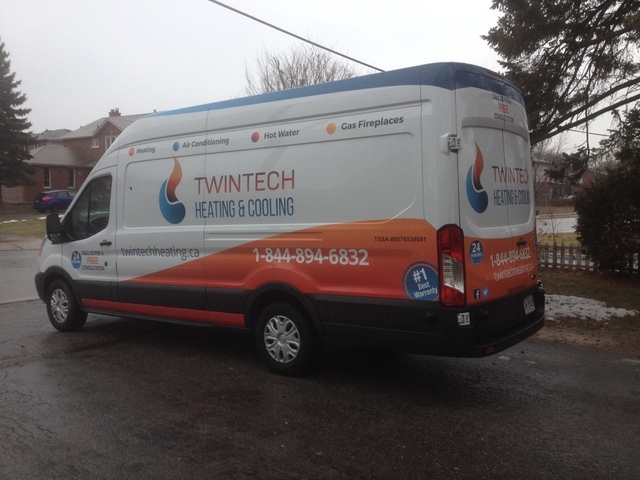 TWINTECH is a full-service HVAC care and maintenance provider located in Pickering, Ontario and servicing Ajax, Pickering, Whitby, Oshawa and the Greater Toronto Area. The company is owned and operated by Grant and Greg Dainty, third generation HVAC technicians. 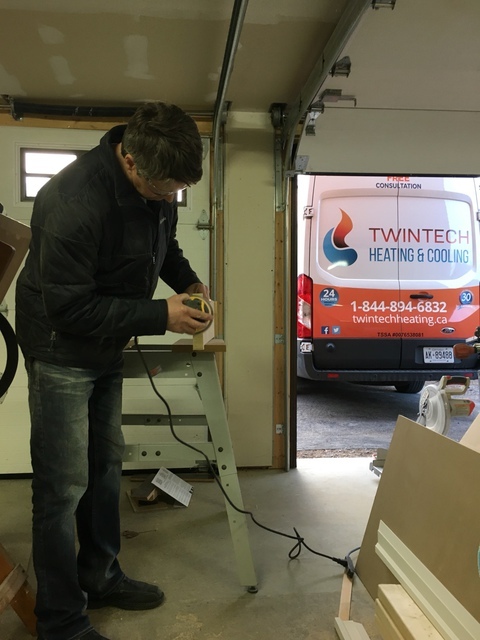 Over the years, TWINTECH has developed an outstanding reputation for both the quality of our installations and high level of customer service in the Greater Toronto Area and surrounding areas. TWINTECH recognizes the need for crucial preventative maintenance and repair of residential HVAC systems, and as a result, our company has gone to great lengths to bring together a highly trained service team whom our customers can count on during any heating and air conditioning emergency. As a TWINTECH customer, you can rest assured that with any visit to your home comes with friendly, professional service and over 30 years of reliable, knowledgeable expertise. Grant and Greg owe their business prowess to their grandfather, Tom Rodman, who perfected his skills in the sheet metal trade while working at the General Motor's plant in Oshawa before founding his own business, Rodman Sheet Metal, in 1949, during a time when sheet metal fittings were still produced by hand. 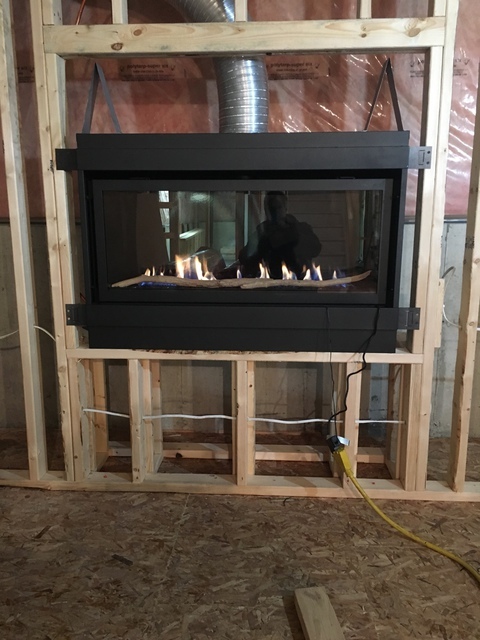 Tom and his staff are responsible for the installation of hundreds of oil furnaces and duct systems in homes that were built across Ajax, Pickering, Whitby and Oshawa during the 1950s and 60s. Rodman Sheet Metal was eventually renamed to Rodman Heating. Curious as youngsters, Greg and Grant grew up immersed in the family business. During the late 70s, they worked part time as summer students alongside their father. After graduating from college, the twins both took on full-time roles in family business, taking advantage of hands on learning in every aspect of the heating and cooling business. 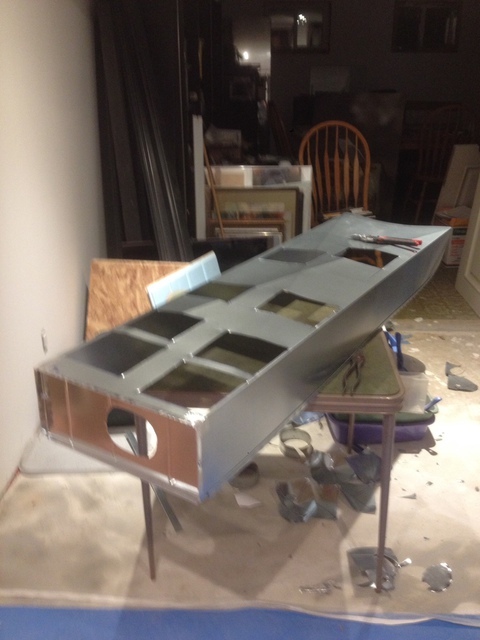 From the sweat and toil of the sheet metal shop producing custom duct work by hand, to the installing furnaces and air conditioners, to answering the phones and going on late-night service calls, they could do it all. 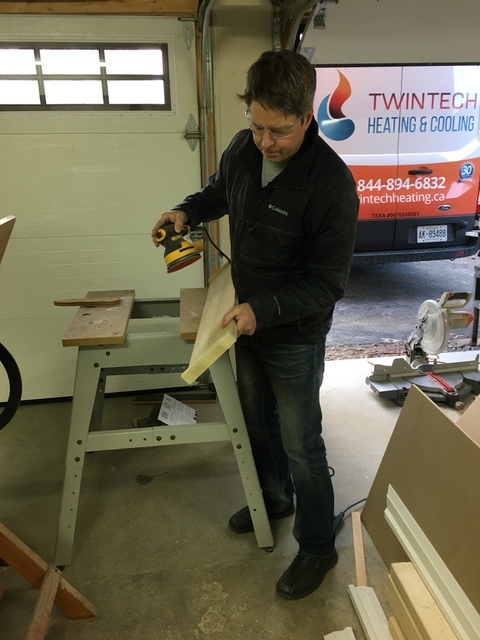 When it was Ron's turn to retire and sell the business, Grant and Greg decided to translate their hands-on experience into a successful brand of their own, and so TWINTECH was born. With over 30 years of experience under their belts and an unparalleled reputation for delivering superior service, TWINTECH has been able to develop and maintain the long-term customer relationships that make them the envy of the industry. When you call for a service- the call goes straight to a technician! We're proud of our exceptional customer service.